Stunning and vibrantly hued Kona Cottons are pieced together to form a dynamic and mesmerizing design in the Metro Rings Quilt! 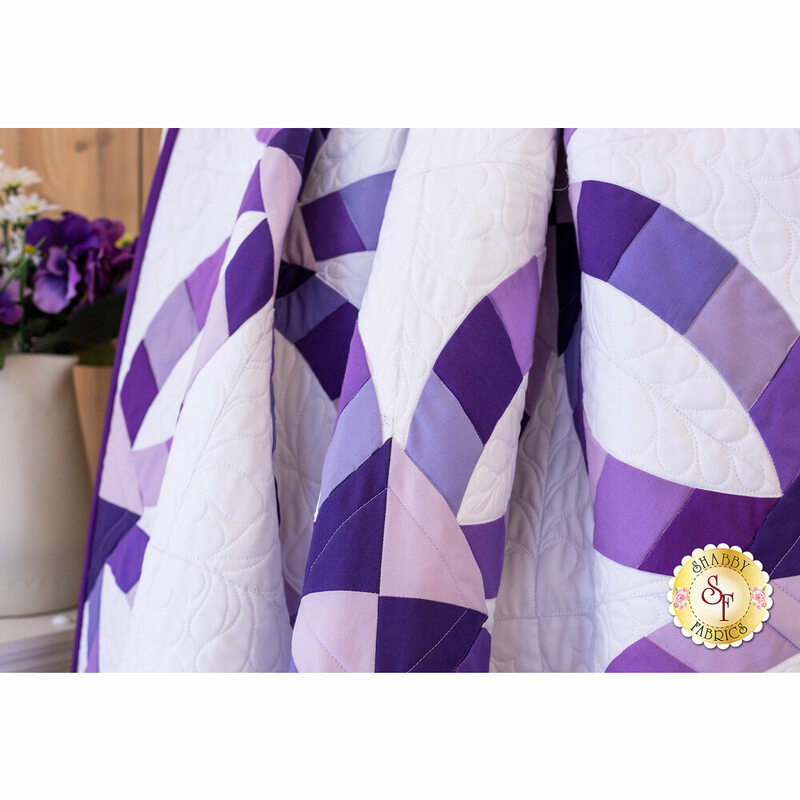 This modern styled quilt is created with the Quick Curve Ruler, giving you the beautiful curving design that gives this quilt its unique look. Make a beautiful addition to any room of your home with this eye-catching quilt! 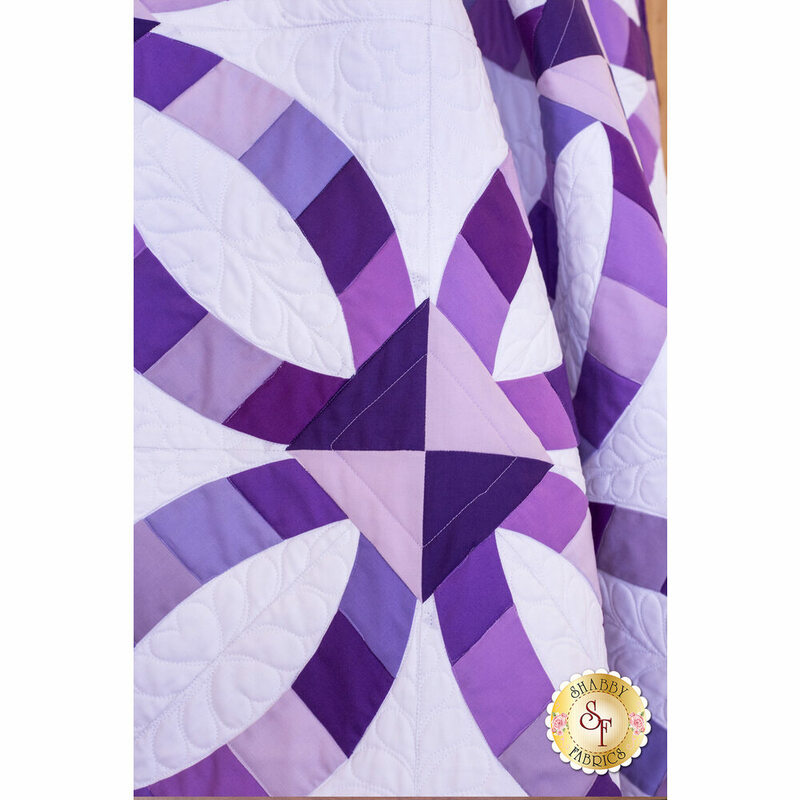 Quilt measures approximately 57" x 76". All Top Fabrics, including Binding! A solid white 108" wide backing is available below! 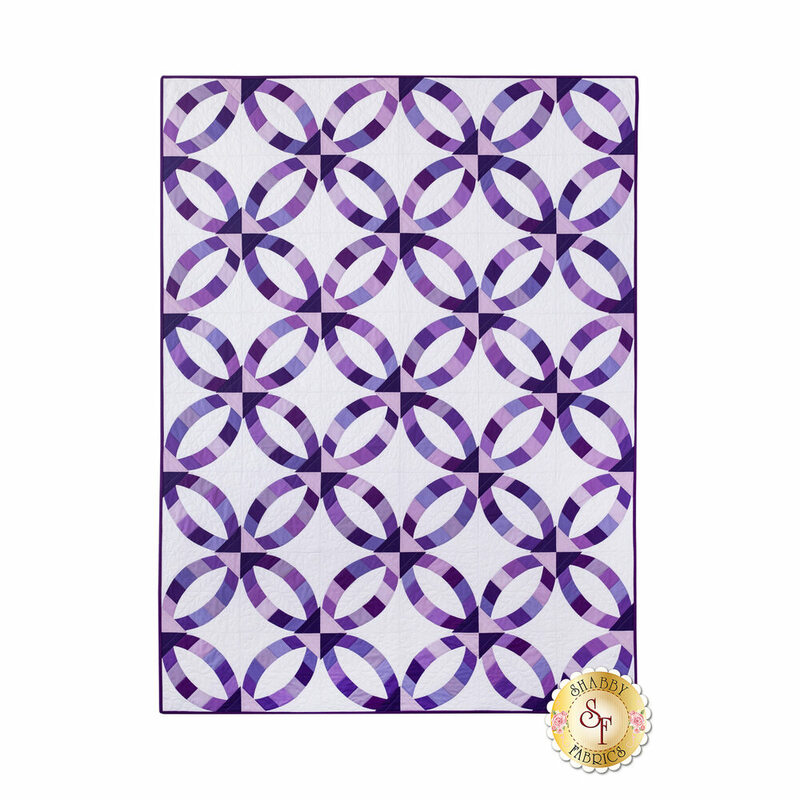 Quick Curve Ruler - Required for completing the quilt!